Our scientific notebooks are of the highest quality. With their archival materials and Smyth-sewn bindings, where pages are permanently incorporated into the book, they will protect your intellectual property in patent presentations and disputes. Our books lie flat for ease of use, and our covers are sturdy and long-lasting. The paper is archival, acid-free, 60-pound, bright white. We have a variety of page formats and sizes in stock. In addition, we offer custom-made books which can be made to your exact specifications to fit the very specific needs of your workplace. 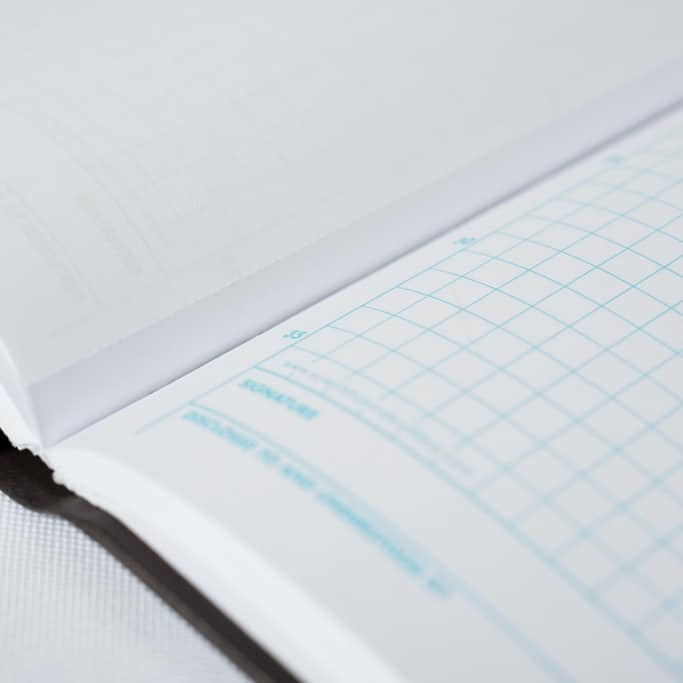 Our custom-designed Laboratory notebooks, Engineering Notebooks and Equipment Log Books are very popular across many industries. 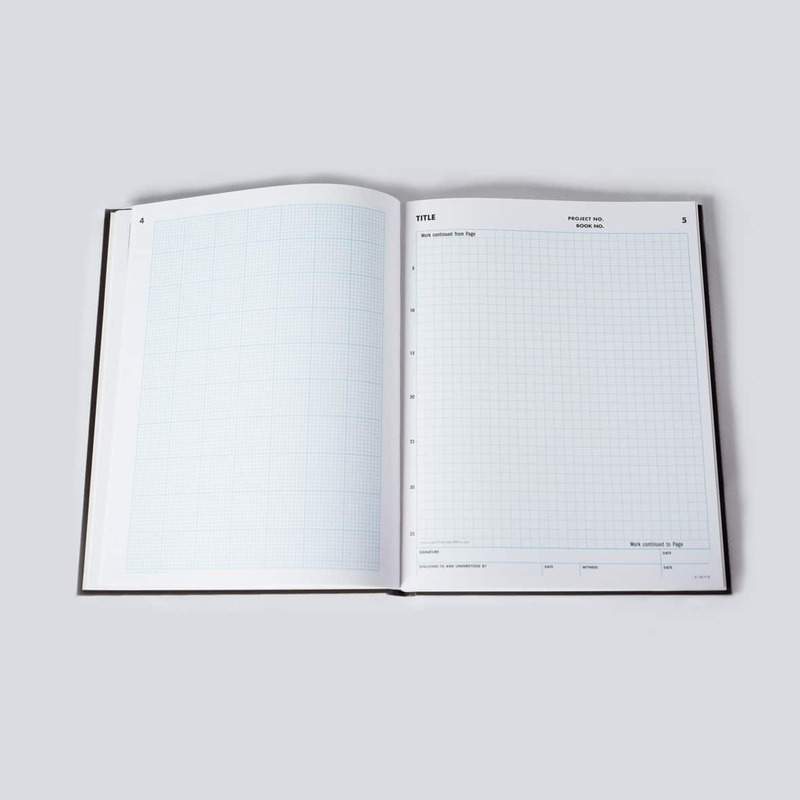 This notebook features 96 numbered pages all with ¼ inch grid. 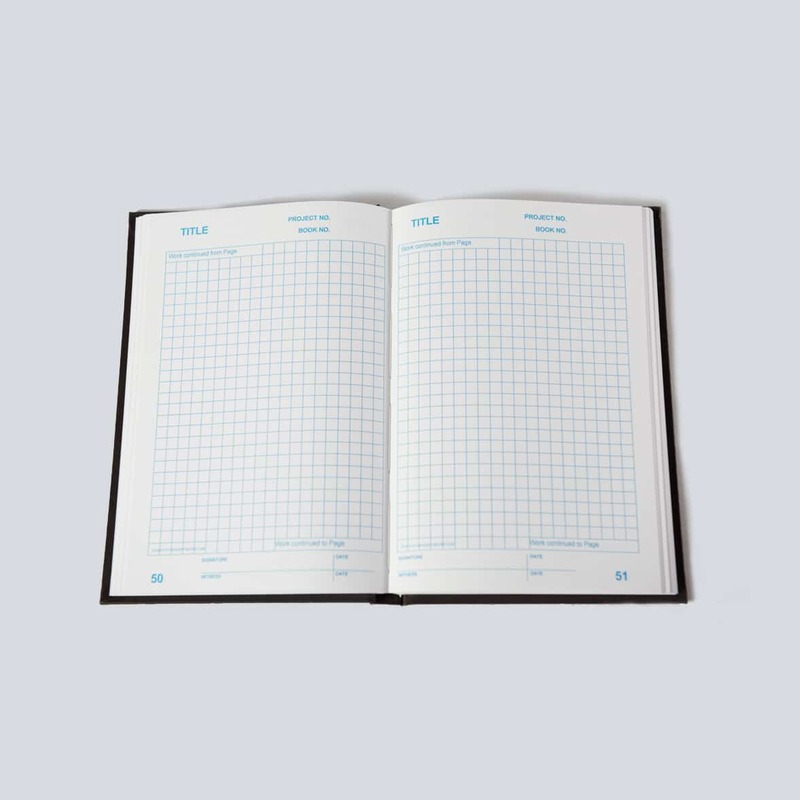 This notebook features 208 numbered pages all with ¼ inch grid. This notebook features 208 numbered pages with 1/10 inch grid on the left page and ¼ inch grid on the right. 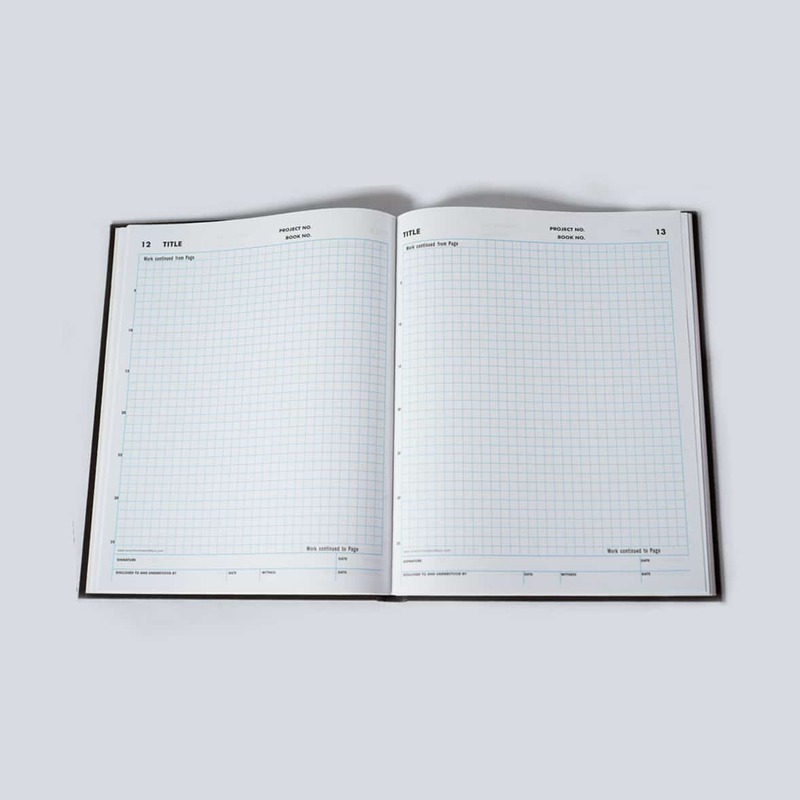 This notebook has 50 sets of numbered, duplicate, perforated pages with ¼ inch grid. 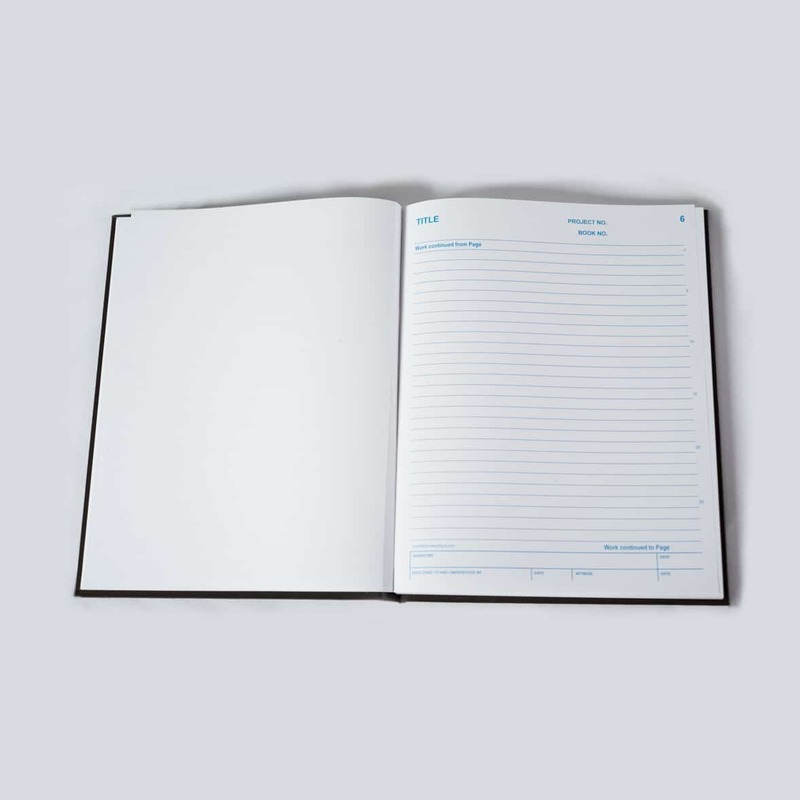 This notebook has 200 numbered pages with light blue horizontal lines, without any headers or footers. 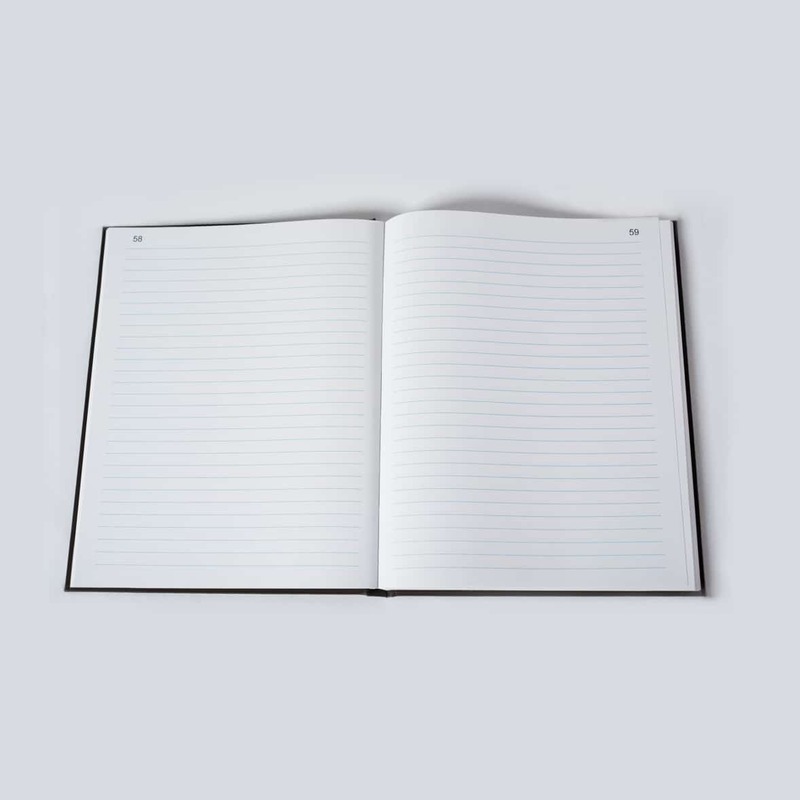 This notebook features 208 numbered pages with horizontal lines. This notebook features 50 sets of numbered, duplicate, perforated pages with horizontal lines. 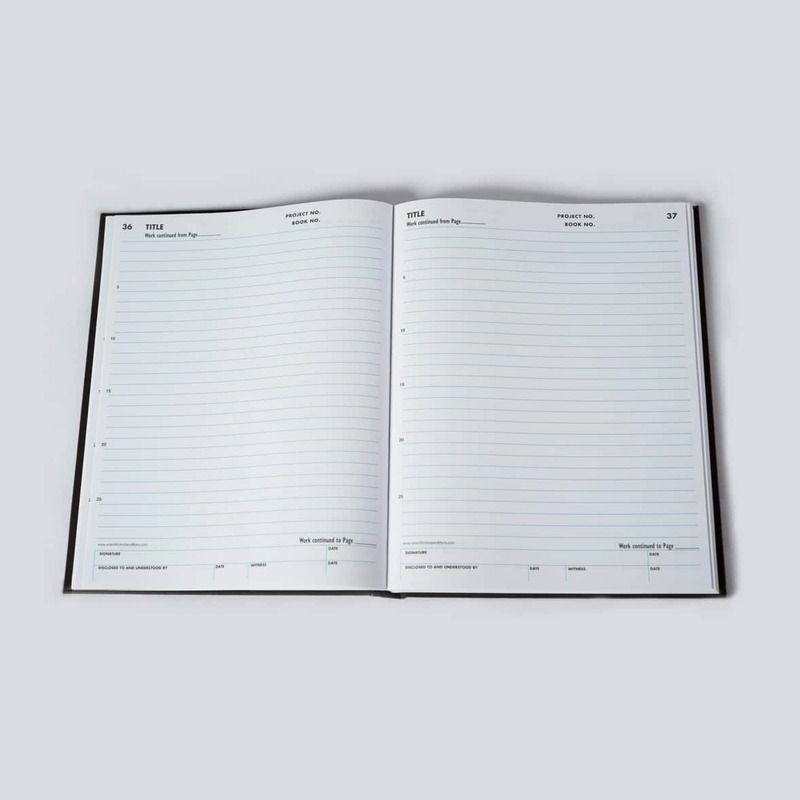 This easily-carried 5 1/2 inch x 8 1/2 inch notebook is ideal for many uses out in the field, with ¼ inch grid printed on 200 numbered pages without any headers or footers. If you want help seeing which ready-made notebook is for you, check out our comparison chart! Design options for custom books are endless! Contact us for a free quote on your Custom Notebook today. The perfect touch of personalization, with custom stamped titles on the cover or spine.